Can I start with a confession? I’m one of those designers who actually thrives when there’s room for a bit of creative chaos. 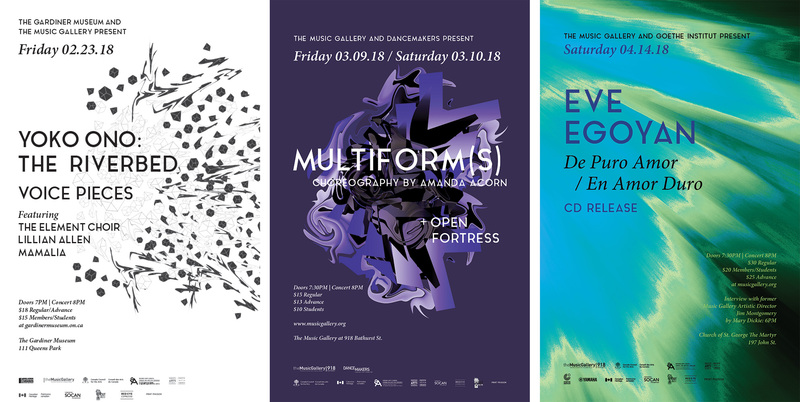 It’ll be no surprise then why working for The Music Gallery is always so exciting to me: as an arts organization showcasing some of the best experimental music out there, they are never afraid to take risks and throw away the rulebook. 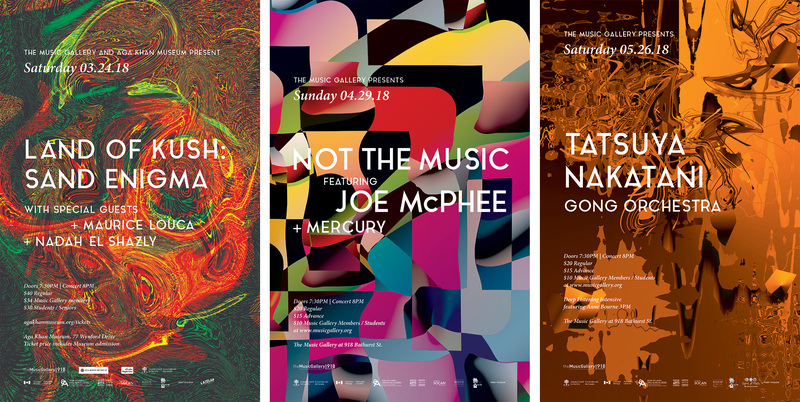 For our studio, this means we are encouraged to push creative boundaries, as The Music Gallery consistently requests that we “go wild” and “keep it weird” with the artwork that we produce for their annual season. As we find ourselves at the threshold of a new year working together, here’s a recap of our designs for their Fall and Winter guides from 2017-2018, as well as our workfor the 12th edition of their X Avant Festival. If you are a human being who lived in the world last year, you know that 2017 was a pretty rough one. And yet, against all odds, our communities kept coming together, powerful and resilient, to continue resisting and surviving the gripping hand of systemic violence. The Music Gallery’s 2017-2018 Season was all about honouring that resistance, making it central to the shows curated for their X Avant Festival and the musicians featured in their annual concerts. 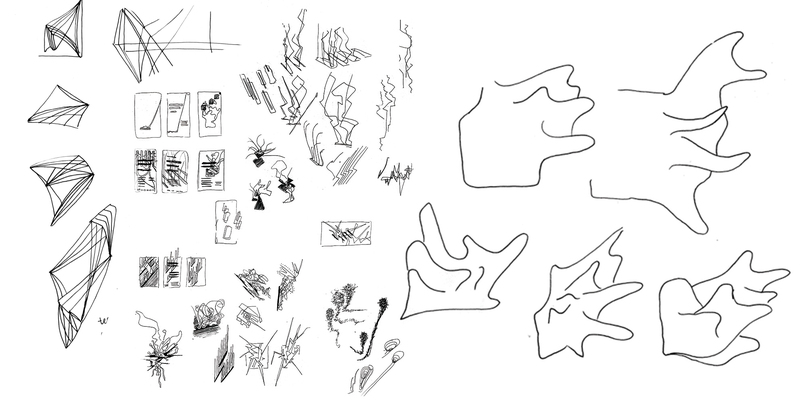 Sketches made while listening to the artists featured in The Music Gallery’s 2017-2018 season. But how can we design resistance? While we love the creative freedom that The Music Gallery gives us, we couldn’t help but to feel small before a very daunting task. So much had been done—historically, recently—on the subject of resistance. Where do we begin even? Luckily, the music itself gave us the answer we were looking for. Armed with pen and paper, we began the design process by submerging ourselves in deep listening sessions, drawing to the beat of songs that ranged from “silent protest to lacerating, high-volume critiques.” The songs spoke to us: do not give in to the circumstances of oppression—reinvent yourself, transform, react. As designers, our challenge was to depict how, in the face of oppressive systems seeking to dominate our existences and cultural productions, we respond by becoming expansive and malleable, counter forces that cannot be tamed. We expand and we transform, but we never break. The guide covers for the Fall and Winter season (left and right respectively), visual explorations of breaking free from the circumstances of oppression. Visually, this led us to explore a series of graphic expressions of the state of being “uncontained”—celebrations of what it means to break free from outer constraints. This is why the Fall and Winter season guides, as well as our poster for X Avant, feature geometric shapes and patterns exploding into organic, colorful occurrences with elastic qualities. 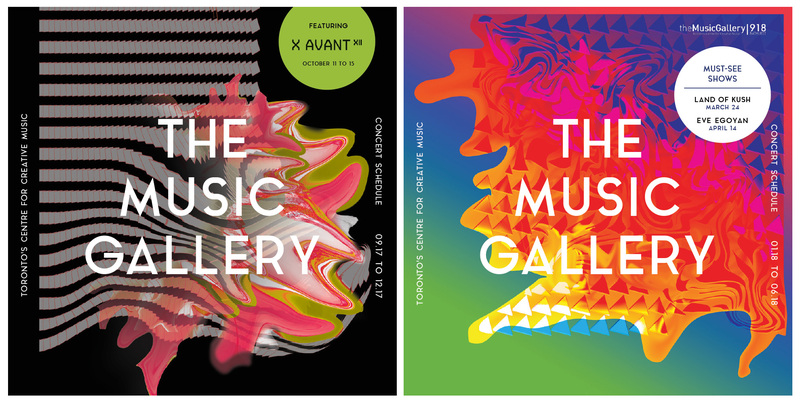 Poster for X Avant (left), along with posters for the first two concerts in The Music Gallery’s 2017-2018 season (center, right). 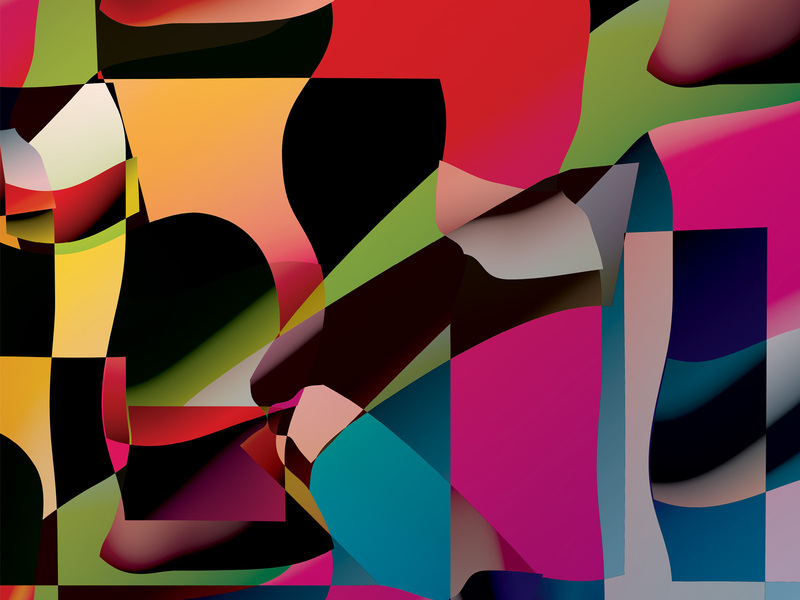 For our posters series, we played with formations that would glitch and fold over themselves, and with textured substances that defied visual order and neat repetition. Bursts of matter and color were arranged in unexpected configurations, making room for subversive meanings. The idea was to capture the non-linear stories, surreal landscapes and dreamy qualities of the music, inspiring us to resist through the powers of the imagination. Poster series for Fall and Winter seasons, making use of unexpected configurations, making room for subversive meanings. 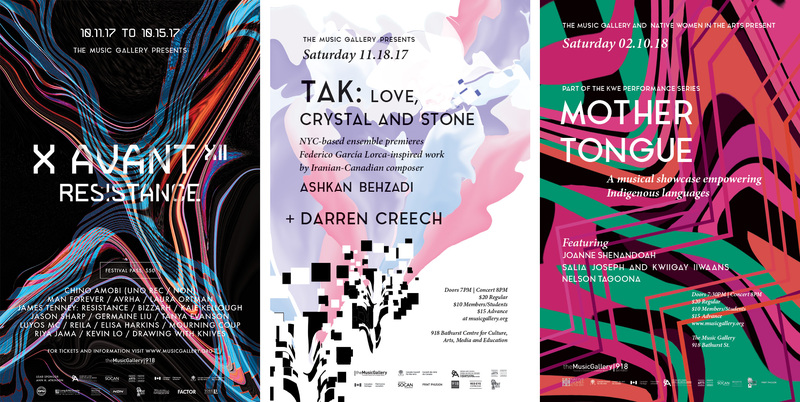 As we get ready to embark on a new season with The Music Gallery, we seek to continue celebrating the strength and persistence of this organization and the music it supports. As a studio, this means deepening our work with communities who creatively resisting these tough times, all while keeping our speakers up, all while keeping it weird.